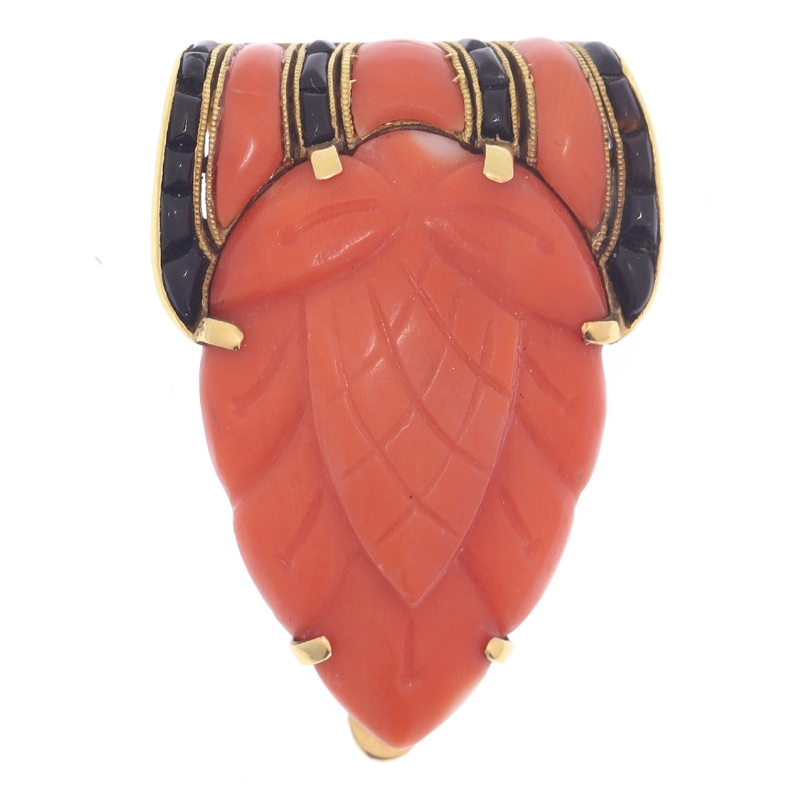 Truly magnificent Art Deco clip, typical Japonism, coral and carre cut onyx: Description by Adin Antique Jewelry. This 18K yellow gold Art Deco brooch from 1920 seems to be an abstract tropical fruit engraved in coral freshly picked from the garden of Japonism. Still attached on four veins of carré cut onyx alternating with coral, this tempting jewel is preserved on an exquisite open work back with leafy patterns through which you could fancy yourself on your own desert island. Birthstones: Moonstone is the birthstone (or month stone) for July.